Casa de Espanol Classes teach age appropriate songs, games, conversation, art projects, and reading in Spanish. Children have many opportunities to practice their spoken Spanish and oral comprehension. Many lessons also include a short culture lesson which the children really enjoy. Fall classes: $120 for 10 weeks. Kinder Class: Kids will delve into the wonders of the Spanish-speaking world through songs, games, art and music. This session’s vocabulary will focus on basic conversation, things they like and don’t like body parts, clothes, food and transportation. 1st-3rd Classes: Interaction, repetition, games, art, music and fun are all components of this class. 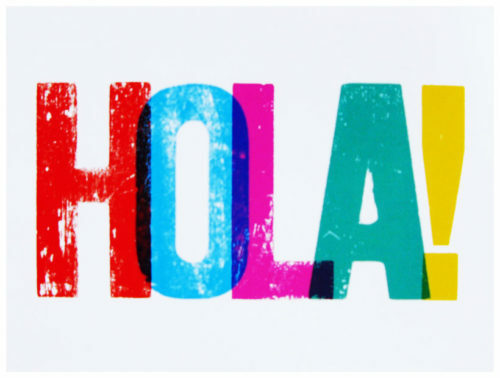 Students begin to learn the grammar, vocabulary and conversation that will help them be successful in middle and high school Spanish, in an easy going and positive environment. Students learn slowly and dynamically, so that they enjoy the class and learn more effectively. This session’s vocabulary will focus on basic and high basic conversation and vocabulary, as well as present tense conjugations and reflexive verbs. Register in the school office with the information from the September newsletter.